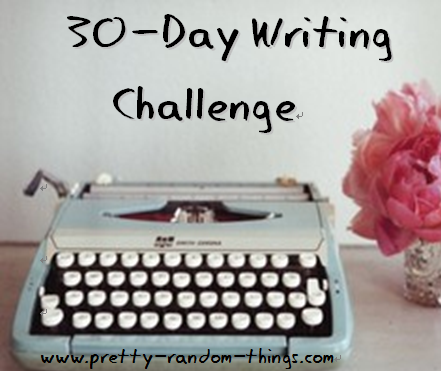 I saw Robin, previously from Our Carolina Days, and now posting on At Four O'Clock do this 30-Day Writing Challenge on her blog a while back, and I made a mental note to take it on when I have some time. I've done these types of challenges before, and even though I know it's a lot of work and requires a lot of effort, I'm going to try it. Day 22 - How have you changed in the past two years? This should be interesting, and maybe a little tough sometimes, but I'm looking forward to it. Let me know if you want to do this writing challenge with me, and feel free to post a link to your site in the comments below. This challenge looks interesting! I think I might do it on my blog too! might have to give this a try! Your survey won't just give your objective customers data on the item,essay help yet in addition esteemed contemplations and sensitive comprehension to identify with.